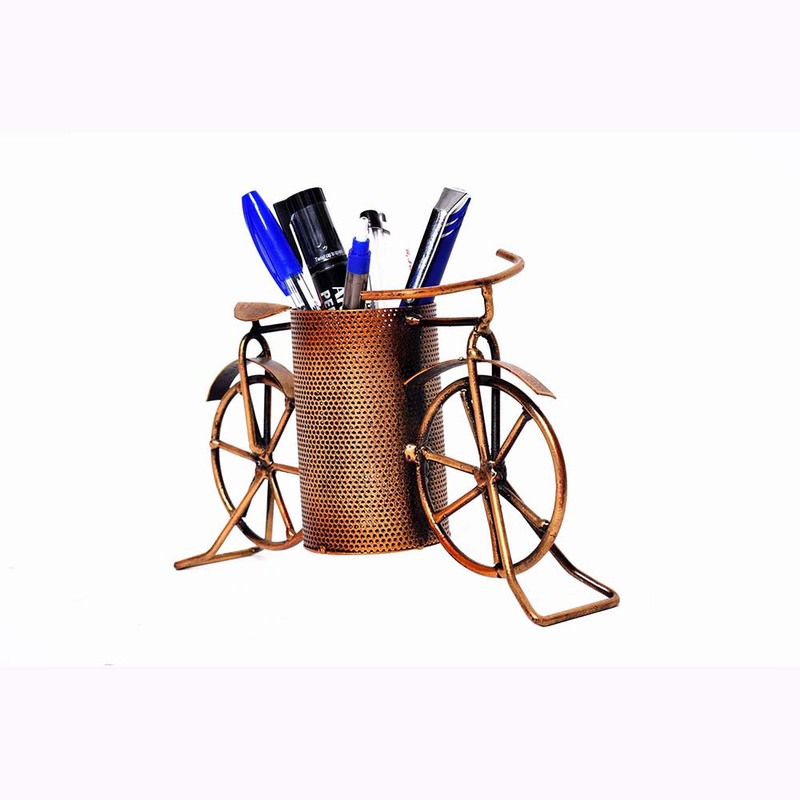 This pen stand is completely made of iron, and has been treated with anti-corrosive agents to boost its chances of staying unchanged for longer periods Read More..of time. The design is quite uncommon which makes it an eye catcher. The place for the pens is a perforated bin attached to two halves of a bicycle on either end. 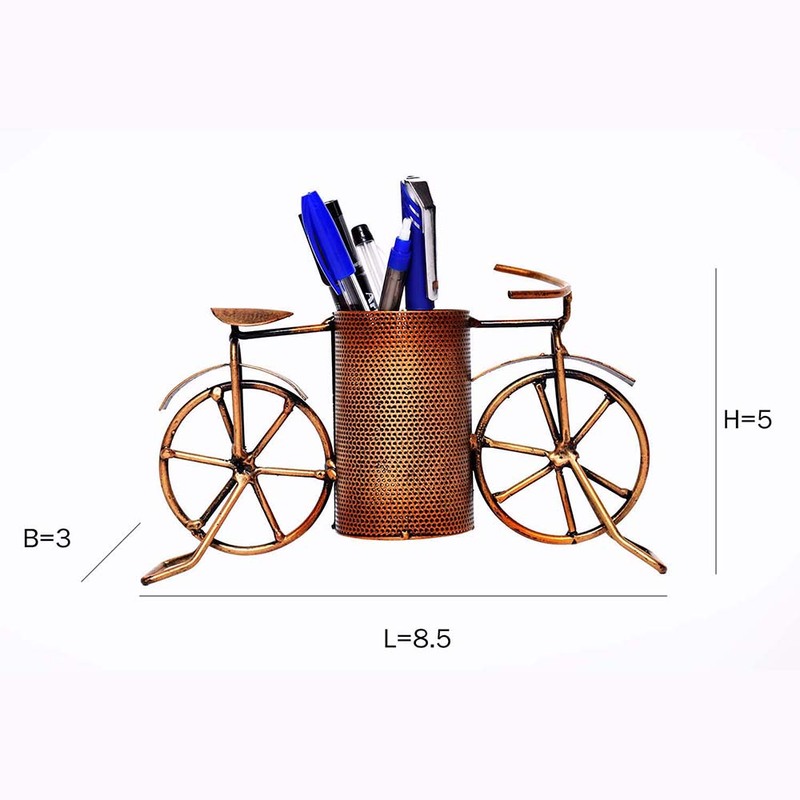 The uniformly applied bronze colour of this pen stand makes it simple yet appealing to the eye. Show Less..